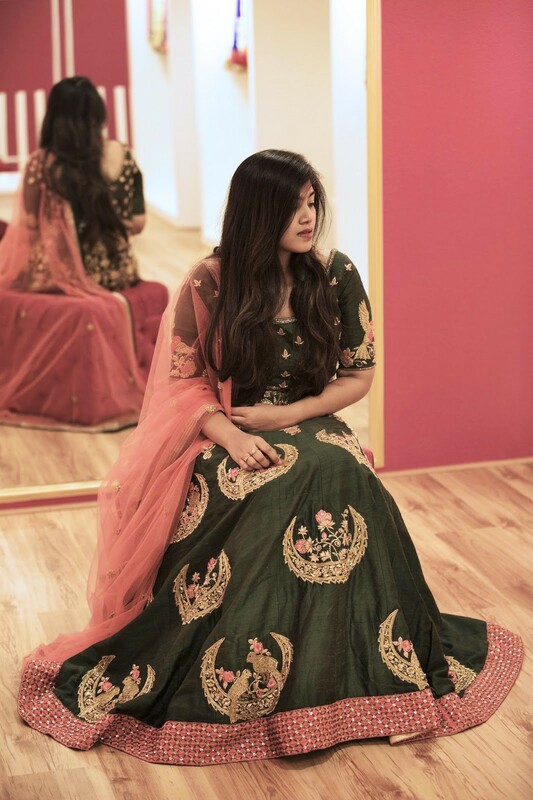 It's the Wedding season again and finally, here i am writing a blogpost on bridal lehengas! Most of you who have been following me on my social media platforms would be knowing that its only been a week since i got married and it feels so right to sit back, relax and write a blog on Trousseau wear. 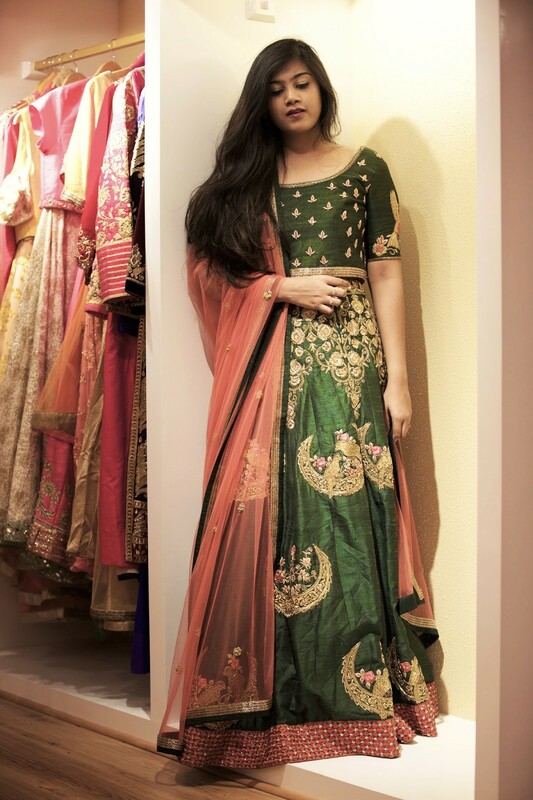 Now coming to the post, this bridal lehenga from the Sionnah store is one stunning piece. It has that classic vintage look which makes every bride want to wear it on her big day. 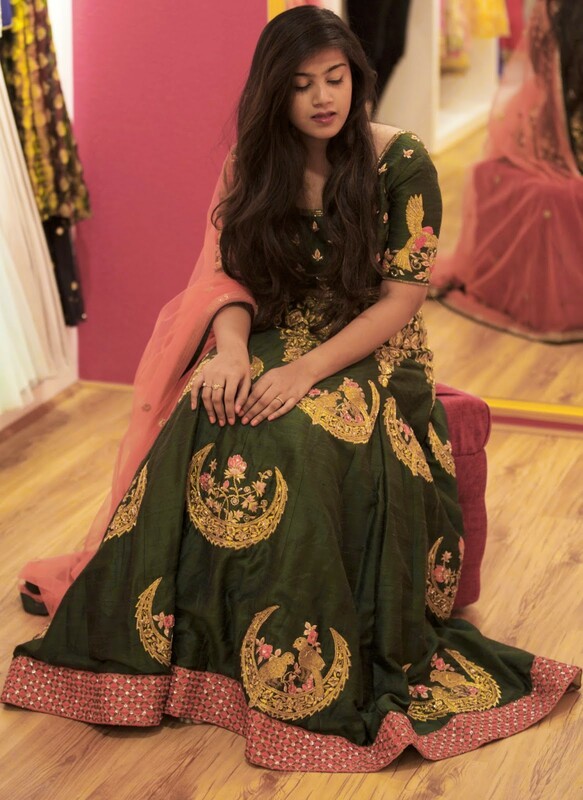 The deep green colour is probably the best i have come across when it comes to Trousseau wear and the lehenga is definitely an eye catcher because of its colour. The outfit is hand embroidered to perfection with gold zari and a pop of orange thread work here and there to add that definition. The bird detailing on the sleeve gives that extra oomph to the outfit. The dupatta is a subtle peach colour which is a contrast shade and gives the dose of colour. I love how the outfit is flowy and gorgeous in its own way. You really have to look out for the border, it has such intricate detailing which adds a unique look to the entire outfit. The outfit is versatile enough to go from day to night. The sionnah store has every outfit curated to perfection and there is definitely something for everyone. 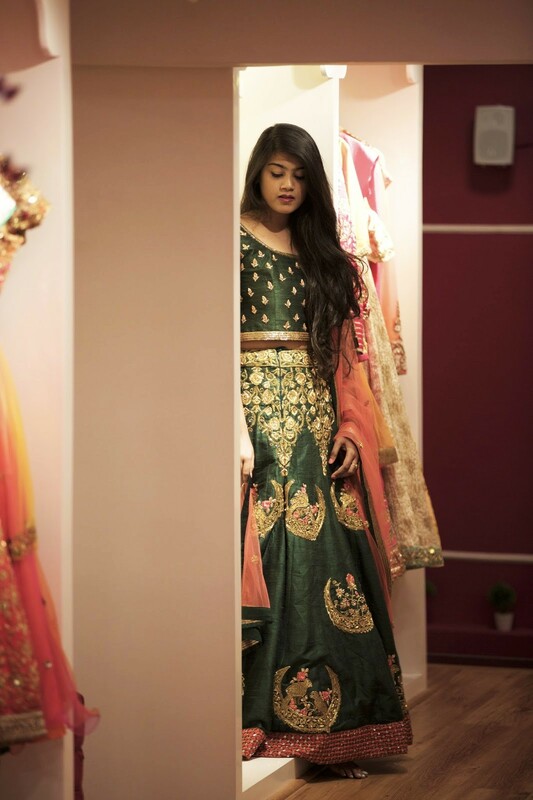 All you brides out there head your way out to Sionnah and pick the perfect attire for your big day!